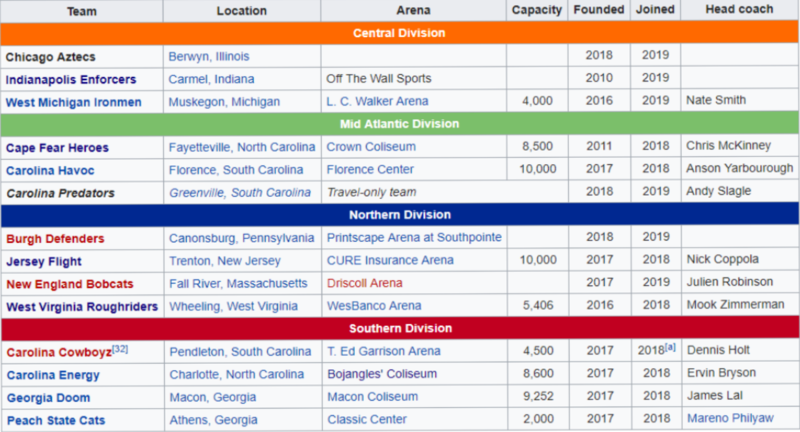 The American Arena League, also known as the AAL, was created in June 2017 after the Can-Am Indoor Football League (Can-Am) and Arena Pro Football (APF) merged. 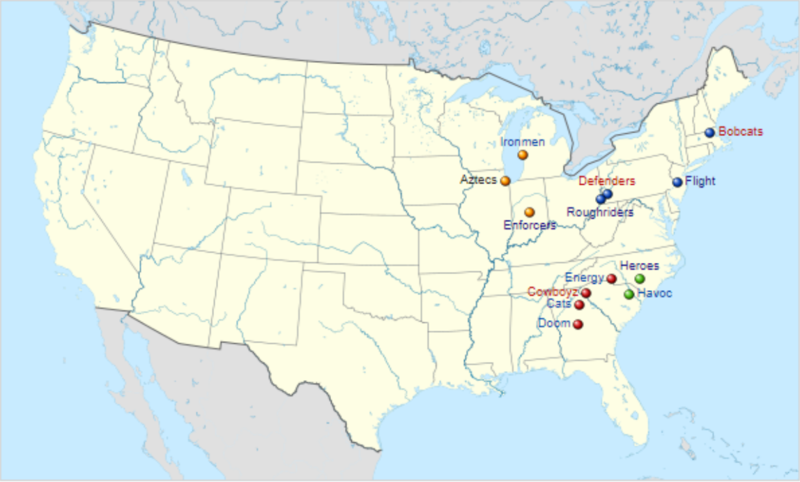 The league currently consists of 14 teams in the eastern United States. In the league's first season in 2018, the Atlanta Havoc defeated the Richmond Roughriders 58-50 in the championship game. An all-star game was held shortly afterwards on August 25, 2018 in Florence, South Carolina.